The names of the winners of the Political Book Prize have been announced! On the evening of Thursday, April 11, National Assembly Vice-President Mr. Marc Picard presented the awards in a ceremony held at the Scène des Rendez-vous littéraires as part of the Salon international du livre de Québec Book Fair. Read our press release and watch the video. Be sure to watch for details on 2020 submissions. The contest is open to authors and students who publish a book (i.e., on paper) between January 1 and December 31, 2019. A total of $14,500 in prize money will be awarded. to increase the public's knowledge of Québec's parliamentary institutions. These prizes will be awarded to the authors of books on Québec politics, based on quality and originality. The National Assembly awards three prizes in this category. The winner will receive $5,000, and the two runners-up, $1,500 each. You may submit an entry if you are an author or co-author of a book written in French or English, dealing partly or entirely with Québec politics, and published between January 1 and December 31, 2018. It can be an essay, historical or analytical work, narrative, autobiography or biography. It must have been published in book form (i.e., on paper) by a publisher whose head office is in Québec. Government publications, conference proceedings, translations and collective works are not eligible. The following persons may not submit entries: jury members, Prize Secretariat personnel, Steering Committee members, MNAs and their staff, and the personnel of the National Assembly. The jury is composed of at least three independent members chosen for their expertise. It reserves the right not to award a prize. These prizes are awarded for doctoral dissertations and Masters' theses focussing on Québec politics, in particular our institutions or political figures. a $2,000 prize and a $500 prize for Masters' theses. To be eligible, a dissertation or thesis must be about Québec politics, be at least 90 pages in length, be in either French or English, and have been defended or assessed between January 1 and December 31, 2018. The following persons may not submit entries: jury members, Prize Secretariat personnel, Steering Committee members, MNAs and their staff, and the personnel of the National Assembly. Should fewer than three dissertations or three theses be submitted, the prizes in the corresponding sub-category will not be awarded. The submissions will be deferred to the following edition of the Prix de la Fondation Jean-Charles-Bonenfant. This prize is awarded to the author of a political text, book, thesis or dissertation that is eligible for the Prix de la présidence de l'Assemblée nationale or the Prix de la Fondation Jean-Charles-Bonenfant. The prize recognizes the author’s contribution to a better understanding of contemporary Québec politics (1960 to the present). The bursary associated with the prize covers the cost of a one-week stay in Paris (including transportation) to allow the winner to attend the Journée du Livre Politique organized by the French National Assembly. The book must be written in French or English, dealing with contemporary Québec politics and published between January 1 and December 31, 2018. It can be an essay, analytical work, narrative, autobiography or biography. Government publications, conference proceedings, translations and collective works are not eligible. A dissertation or thesis must be about Québec contemporary politics, be at least 90 pages in length, be in either French or English, and have been defended or assessed between January 1 and December 31, 2018. Works must have been published in printend or electronic form. Entries by authors aged 35 or under will be given priority. The winner must be available to attend the Journée du livre politique in Paris (usually held in March). The following persons may not submit entries: jury members, Prize Secretariat personnel, Steering Committee members, MNAs and their staff and personnel of the National Assembly. 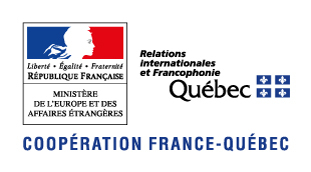 The winner will be chosen by a selection committee composed of representatives from Québec’s Ministère des Relations internationales et de la Francophonie and Ministère de l’Europe et des Affaires étrangères. The selection committee will take into account the recommendations of the Prix de la présidence de l'Assemblée nationale jury and the Prix de la Fondation Jean-Charles-Bonenfant jury.